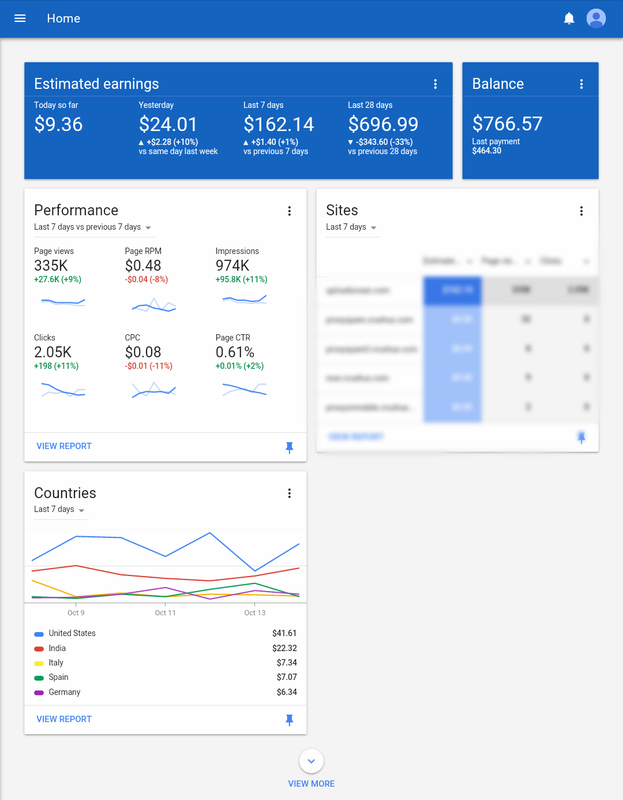 Google announced last night that they are rolling out a new design for the AdSense publisher portal. 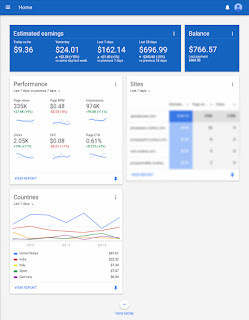 The new design goes with the Google material design flow and "highlights the information that’s relevant to you on a personalized homepage and streamlines navigation." A fresh new look & feel. Google is adopting Material Design principles with a completely redesigned homepage and menu. A great new homepage. All the information you need, right where you need it. Googlehas organized your homepage into a stream of interactive cards. You can pin your favorites to the top of the stream, and arrange your homepage just the way you’d like. A streamlined new menu. Google has brought everything together in a new left hand menu.